If you're the kind of person who complains about too many repeats on TV, you're watching too much TV. Anything worth repeating was a success first time around, which has to be a good thing. I'm one of those people whose staple diet is increasingly Radio 4 Extra, which is nothing but repeats. It provides a reliable supply of the kind of programmes I prefer - which are either factual, comic or literary - and now that I use the phone or the iPad as the main way of accessing audio, it's becoming second nature to just scroll back through the schedule on the BBC iPlayer Radio until I find something I want to hear. Most of the time I don't want to hear what's being broadcast at the time but I can easily find an alternative. In the last few days I've loved Julian Barnes and Hermione Lee looking at Rudyard Kipling's motoring holidays in France, John Hurt as E.M. Forster narrating a dramatisation of Howards End, a whole lot of the glory that is Ed Reardon's Week and Julian Fellowes' history of the Dorset theatre company who first performed the stories of Thomas Hardy. When the BBC big themselves up they tend to do it through their big programmes, which I neither watch nor hear. 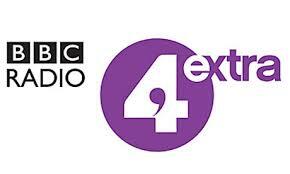 It's the little things like Radio Four Extra, which presumably costs nothing, that make the difference for me. "If you're the kind of person who complains about too many repeats on TV, you're watching too much TV." Or, conversely, too little TV - or at least too narrow a selection of channels: there's generally something watchable on some station or other. And that's before we even consider the boons of timeshifting - of which I suppose repeats were a curated predecessor. iPlayer Radio is indeed very good; they have iterated it well, with regular but improving updates. Worth signing in, too, to set up your favourites: the radio equaivalent of the Sky+ Series Link, and a quick alternative when your chosen station takes a lurch into the unfortunately various.